Stephanie's Stampin Spot! 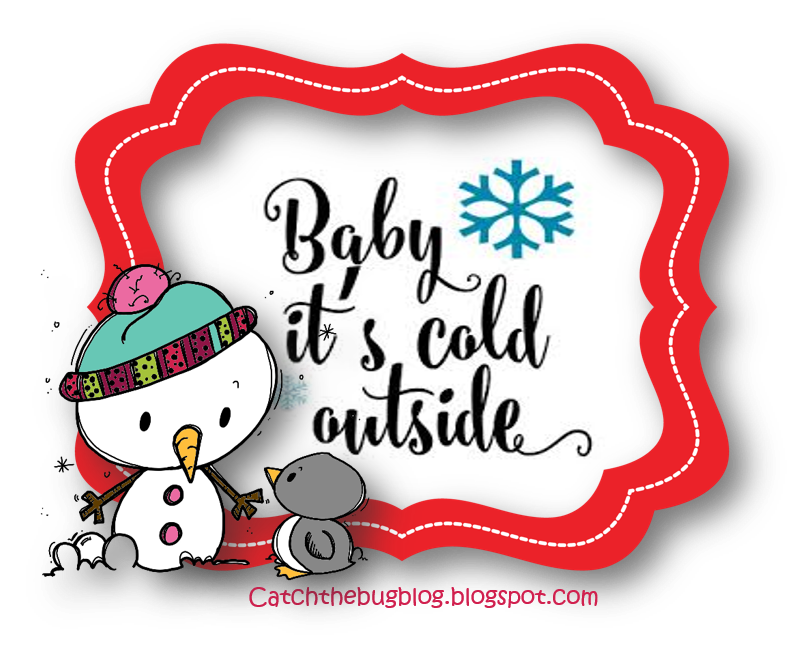 : Baby it's COLD outside! 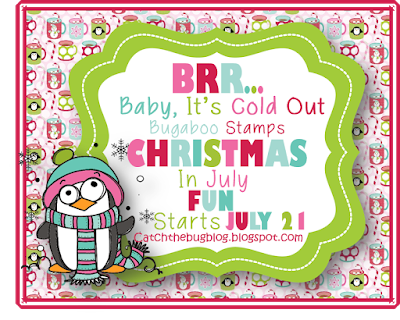 Hey, welcome to the first day of Christmas in July at Catch The Bug! We have lots of fun and prizes for you all week! 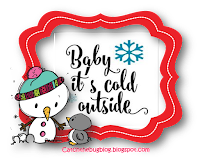 Today our card is Baby it's cold outside so use that as your theme. I used Three Winter Snowmen, colored them with copics and the paper is from my scrap basket. Prizes listed below! What cute creation. Love the colours and that ribbon too. Such a cute family of snowmen!!! 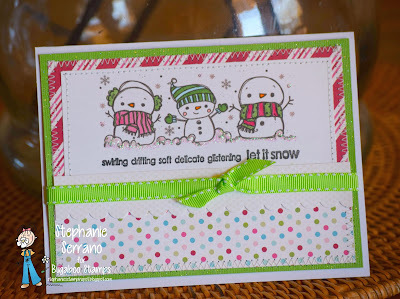 This card is so sweet, great layout.